Adon Olam, the hymn that usually concludes the Shabbat morning service, has been sung in many diverse styles from traditional to Broadway and Beatles versions. But it has also been performed in concert. A few years ago, it was a featured part of a special concert to honor Moshe Stern, one of the great cantorial singers of the last century. 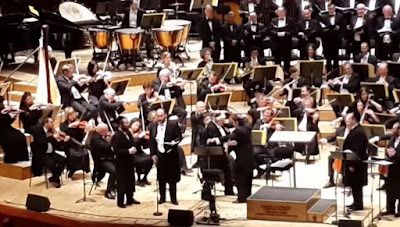 The concert was held In Tel Aviv's Heichal Hatarbut (Mann Auditorium), together with the Tel Aviv Philharmonic Orchestra. on April 9, 2014. Leading young cantors from around the world such as Yaakov Lemmer, Netanel Hershtik, and Ushi Blumenberg also sang at the concert, conducted by Dr. Mordechai Sobol. Really nice version of a song that is so adaptable to almost any melody.